In June, Bullock issued an Executive Order declaring 19 Montana counties and 2 Indian Reservations in a drought emergency. Since that action, sustained high temperatures and winds have caused severe worsening conditions and additional counties to suffer from extreme drought. 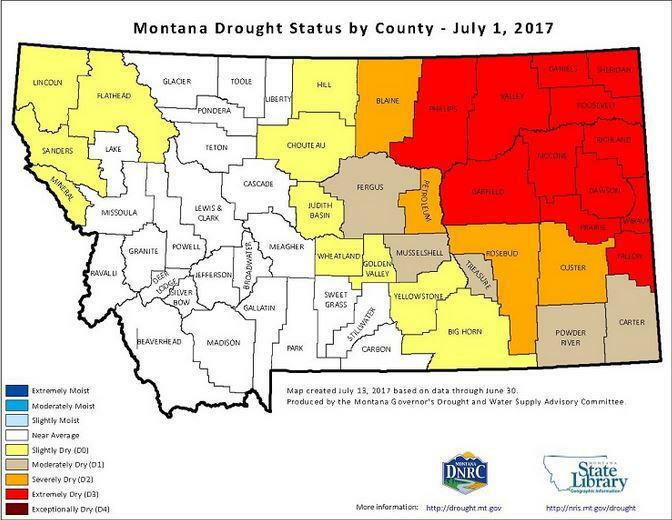 As of July 10, 2017 small, nonfarm businesses in 16 Montana counties are eligible to apply for low-interest federal disaster loans from the U.S. Small Business Administration after Governor Bullock sent a letter to Secretary Sonny Perdue requesting a Secretarial Drought Disaster Designation. Affected counties and reservations are also eligible for the Livestock Forage Program. Dustin White, the Chippewa-Cree tribal water director, says it is one of the worst water shortages he’s ever seen on the Rocky Boy's reservation. “I’m at the mercy of the weather right now,” White says. 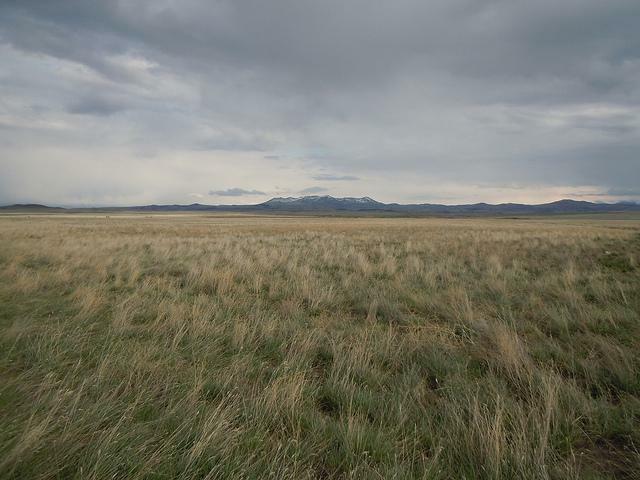 Within two weeks, as many as 3,000 people could run out of water as relentless hot temperatures, a drought and a failed water storage tank cause water supplies to fall to critically low levels near the town of Box Elder in north-central Montana.